NACE Europe best poster award goes to our PhD student Mehdi: congratulations! 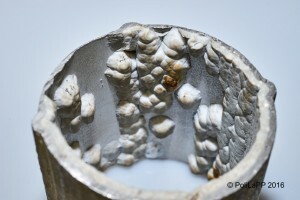 The article, written by prof. Pietro Pedeferri and titled “Reinforced and prestressed concrete. 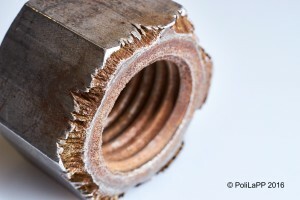 Structural failures and rebars corrosion”, originally appeared in 2003 on the Journal “L’Edilizia” (N. 129, august 2003, pp 50-59). It has now been re-published on the Journal “Structural”, 10 years after the disappearance of prof. Pedeferri. You can find the article at the following link: Structural – Nov-Dec 2018. 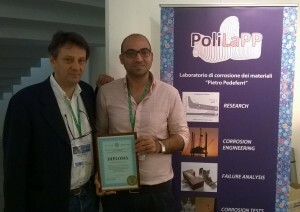 On November 30, 2018 Politecnico di Milano hosted the first edition of the Giornate di Studio “Pietro Pedeferri”, organized by PoliLaPP, entitled: “From research to industry: the new frontiers of corrosion science and engineering”. 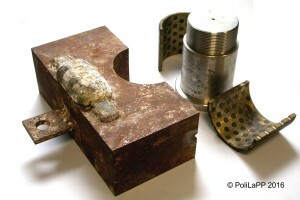 The workshop, in memory of Pietro Pedeferri (1938-2008), aims at presenting the most recent researches and applications of corrosion science and engineering. 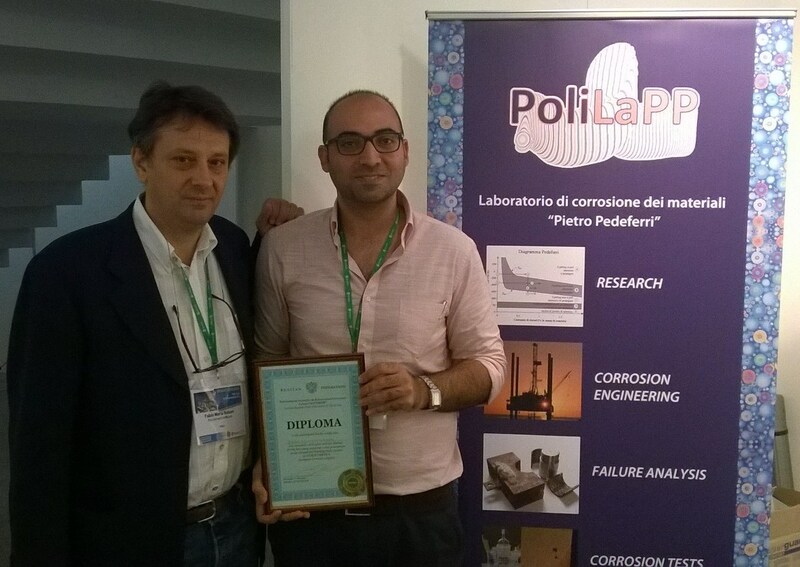 The workshop finds its collocation in the corrosion school that had Pietro Pedeferri as founding father. The presentations are now available for download: please follow this link to download the archive. The November-December number of the Journal “Structural” is dedicated to the workshop. You can find it at the following link: Structural – Nov-Dec 2018. 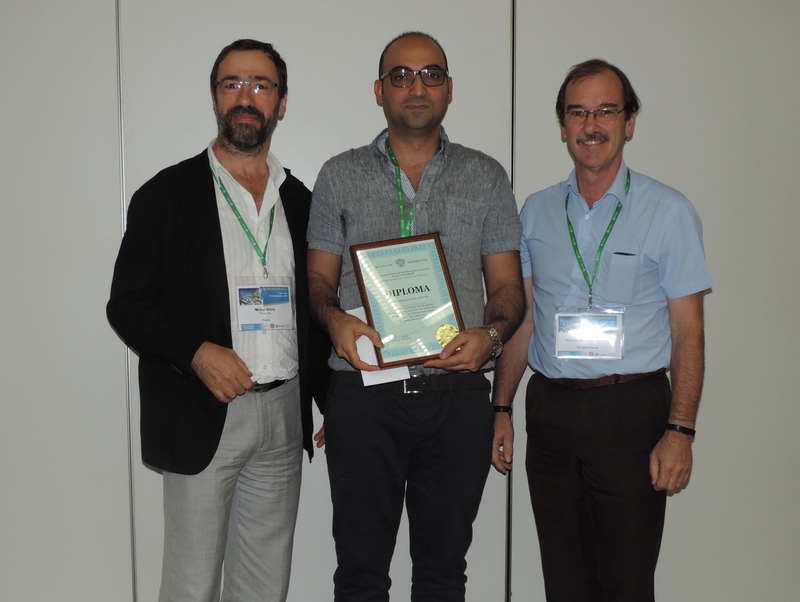 Our team member Mehdi Attarchi, PhD student who holds the APCE fellowship, was awarded with the best poster in the student session of the 2nd NACE Conference and Expo 2018 organized by NACE Milano Italia Section. 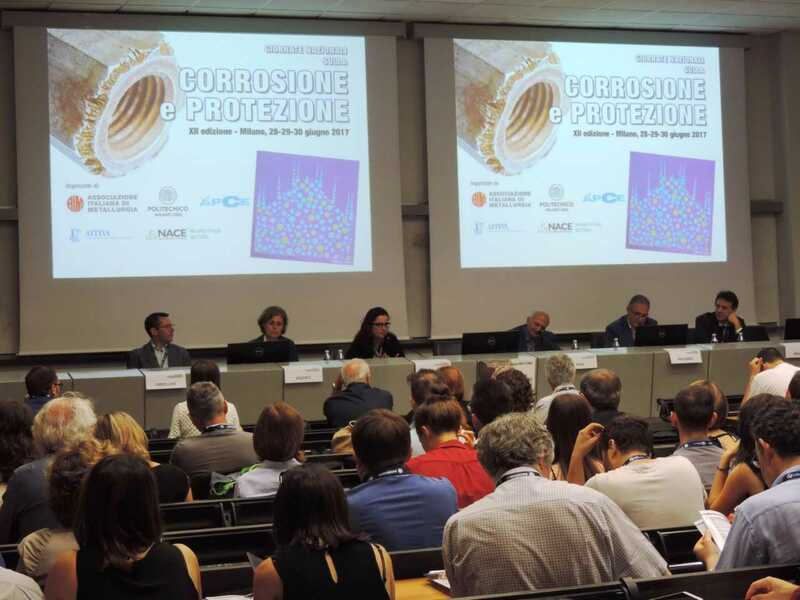 NACE Milano Italia Section, NACE Europe and BP will cover the costs for the participation to the NACE Corrosion 2019 conference, which will be held in Nashville. Congratulations Mehdi! 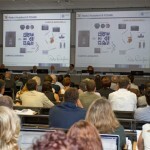 PoliLaPP ha organizzato in collaborazione con AIM, Associazione Italiana di Metallurgia, la XII edizione del convegno nazionale dedicato alla “Corrosione e Protezione dei Materiali”, svoltosi presso l’aula Rogers del Politecnico di Milano. Questa edizione delle Giornate Nazionali di Corrosione e Protezione, coordinata da Fabio Bolzoni, Marco Ormellese e MariaPia Pedeferri, per la prima volta nella storia di questo convegno, ha visto il numero dei partecipanti superare quota 200. Numerosi ricercatori provenienti dalle diverse università italiane e operatori appartenenti al mondo industriale hanno presentato più di 100 memorie orali, suddivise nelle 12 sessioni tecnico-scientifiche. La sessione “corrosione delle opere in calcestruzzo armato” è stata dedicata al ricordo del nostro collega prof. Luca Bertolini, prematuramente scomparso. 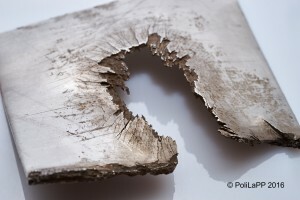 Il Dipartimento di Chimica, Materiali e Ingegneria Chimica “G. Natta” ha avuto un ruolo centrale, con ben 20 interventi. Durante il convegno è stata consegnata al prof. Luciano Lazzari la medaglia di titanio, istituita dall’AIM nel 2002, e in questa occasione intitolata alla memoria del prof. Pietro Pedeferri. 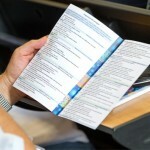 Sono stati inoltre organizzati tre workshop dedicati alla protezione catodica delle reti idriche interrate (a cura di APCE), alla corrosione negli impianti petrolchimici (a cura di NACE Italia Milano Section) e all’utilizzo degli acciai inossidabili nel settore chimico (a cura del Centro Inox). 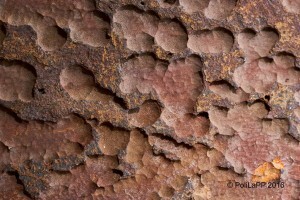 Una selezione di memorie presentate al convegno sono state pubblicate sulla rivista “La Metallurgia Italiana”, che ha dedicato il numero di luglio alla tematica della corrosione. 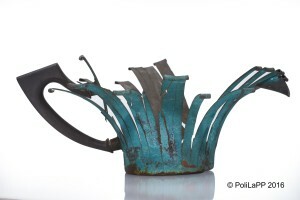 The Corrosion Museum entitled to Pietro Pedeferri has opened in its brand new appearance! 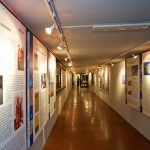 Still located in the PoliLaPP offices, the Musem has been fully renovated, cases catalogued and some of them summarized in a Book of Case Histories. The new edition of the course on stainless steels and superalloys, organized in collaboration with Centro Inox, will cover 5 days in end November-early December 2016. For further information, you can contact Centro Inox. 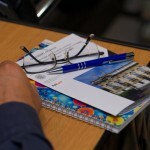 The course will be in Italian. EUROCORR 2015 – Graz, September 6-10 2015 – Visit PoliLapp stand! 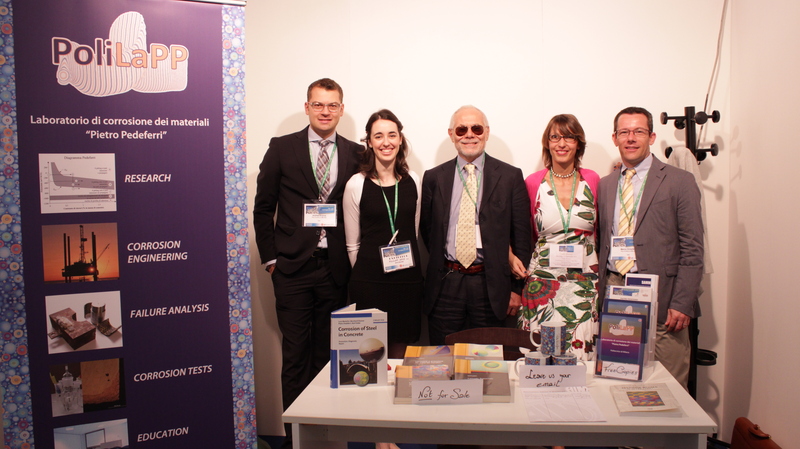 PoliLaPP participates to Eurocorr 2015, which will be held in Graz, September 6-10: we bring in four oral interventions, and the PoliLaPP stand is back – come visit us! 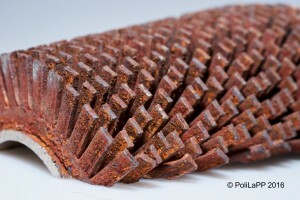 On January 8 the PhD in Materials engineering hosted a workshop on the characterization techniques for materials engineering. The workshop proposed interventions from Dr. Seita, MIT, Prof. Bemporad, University of Roma Tre, Prof. Bernasconi, University of Milan Bicocca, and Dr. Andena, Politecnico di Milano. 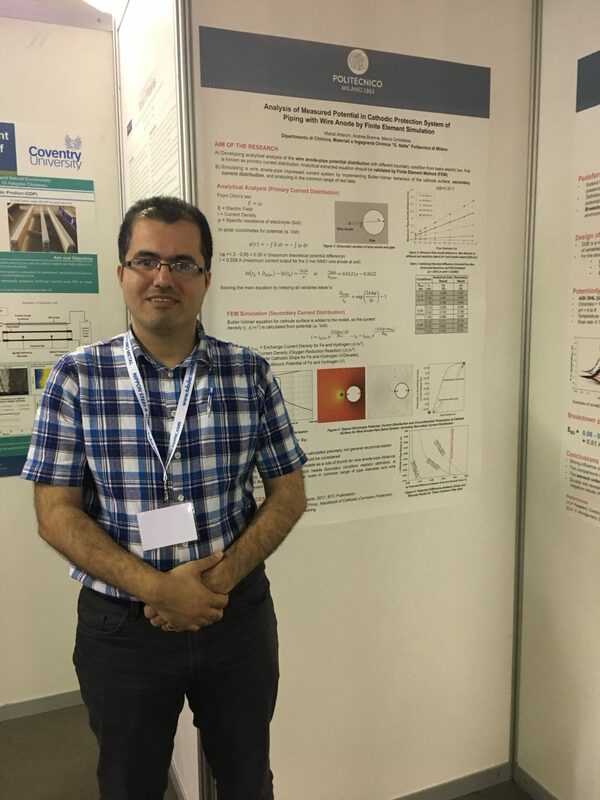 The participation of Dr. Seita was supported by a seed fund between Ti&Fun and MIT Demkowicz group, related to the correlation of grain boundary microstructure with the corrosion resistance of aluminum. inhibitors. 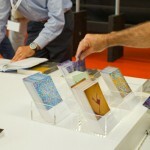 PoliLaPP participated with a presentation by Fabio Bolzoni (read the article here). 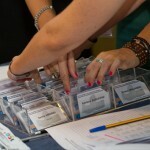 For further information you can visit the conference website. 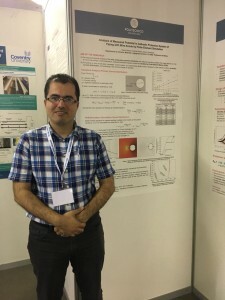 During the EUROCORR conference Ehsan Fallahmohammadi, PhD in 2013 with PoliLaPP and now working at Prysmian, received the prize for best young researcher presentation in the Oil and Gas session. The prize is sponsored by ANTIKOR – International Scientific and Educational Corrosion Center, Gubkin Russian State University of Oil and Gas. 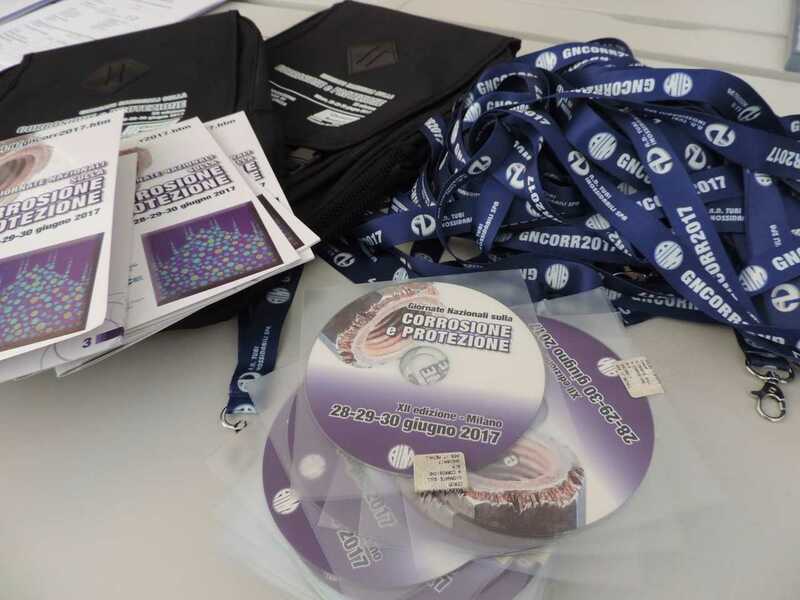 The conference EUROCORR, organized by AIM – Associazione Italiana di Metallurgia and by EFC – European Federation of Corrosion, was held in Pisa from 8 to 12 September. The main theme of the event was: “Improving materials durability: from cultural heritage to industrial applications”. PoliLaPP participated with a plenary lecture by Luciano Lazzari, conference chairman, as well as with scientific interventions (Tuesday 8: MariaPia Pedeferri, Thursday 11: Fabio Bolzoni, Andrea Brenna, Maria Vittoria Diamanti and Marco Ormellese), and with a stand in the exhibition area. 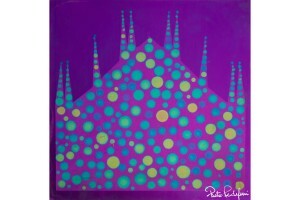 The conference also hosted an exhibition of Pietro Pedeferri’s paintings. 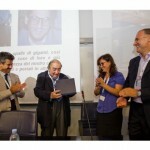 The conference, in memory of Pietro Pedeferri and dedicated to the School of corrosion of Politecnico di Milano, was held in occasion of the 150th anniversary of Politecnico.